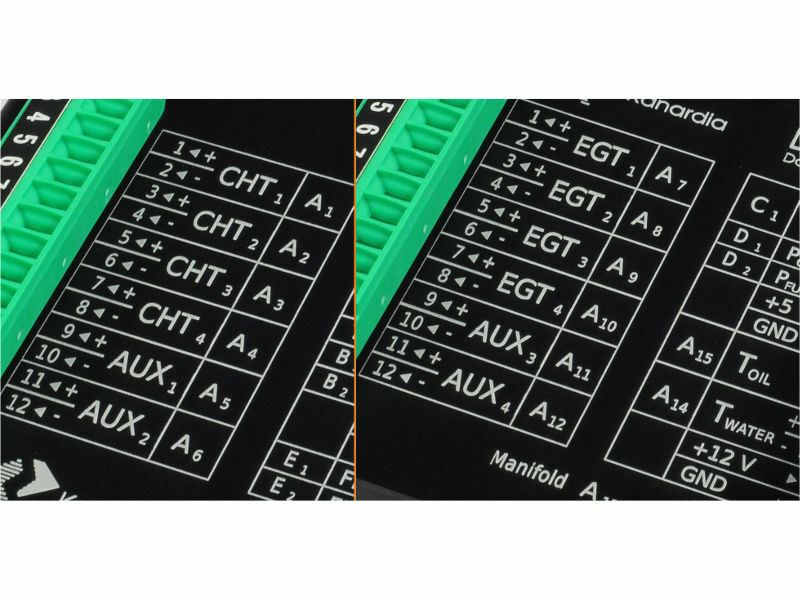 We take great care to design our instruments lightweight and slim as possible. 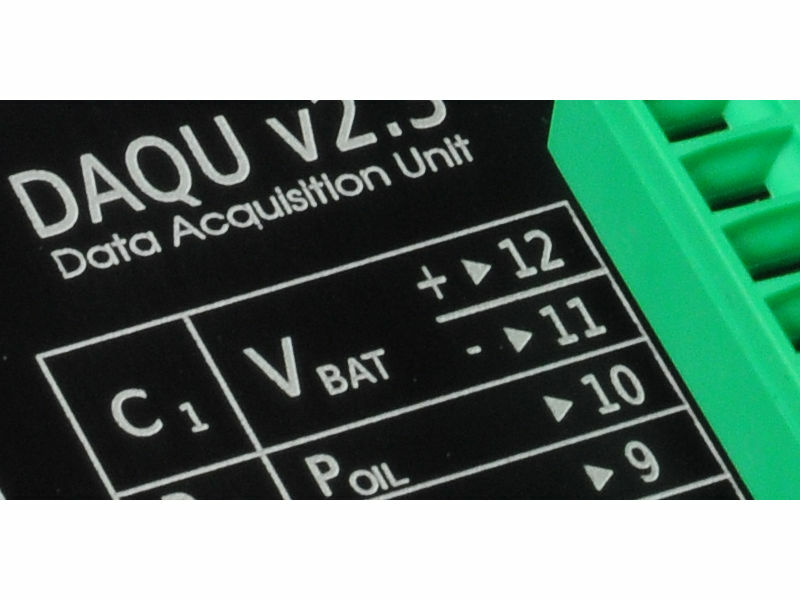 Daqu only weighs 135 g.
Daqu reads various engine sensors, processes the readings and transmits them to other units/instruments. 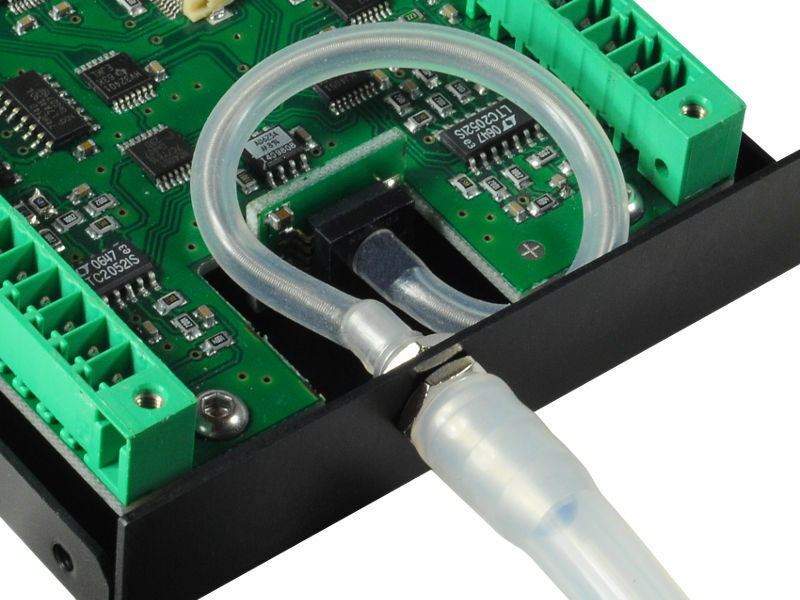 Daqu has a built in sensor that is used to measure the intake manifold pressure. 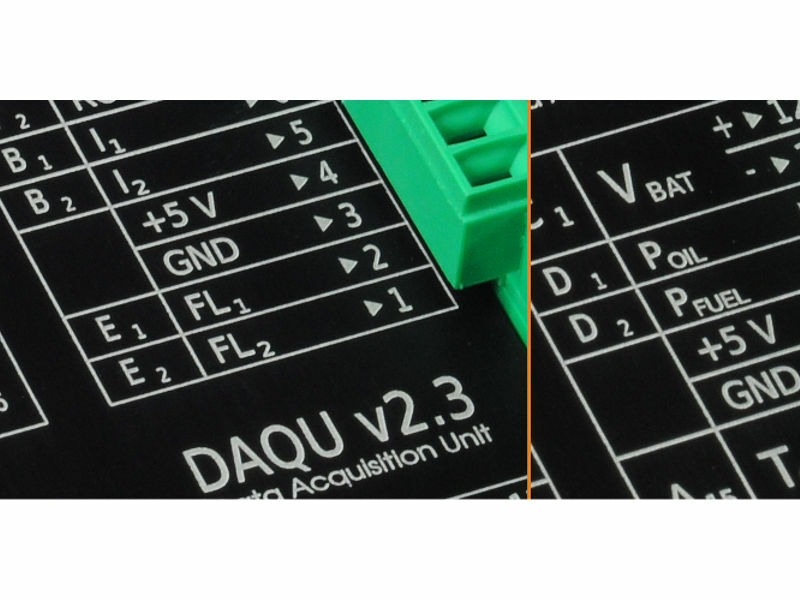 Analog channels with -2.5 V to +2.5 V input, which are typically used to connect resistive sensors and thermocouples. 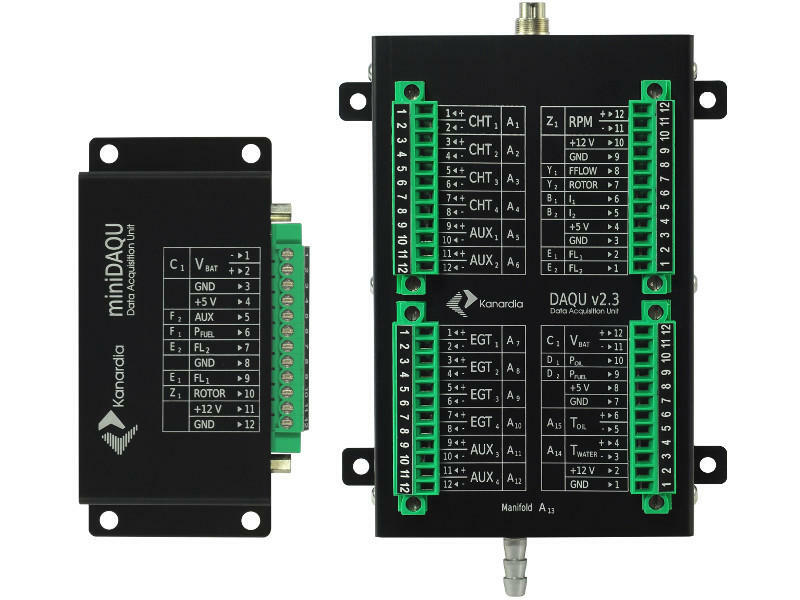 Analog channels with 0 to +5 V input, used to read active sensors. 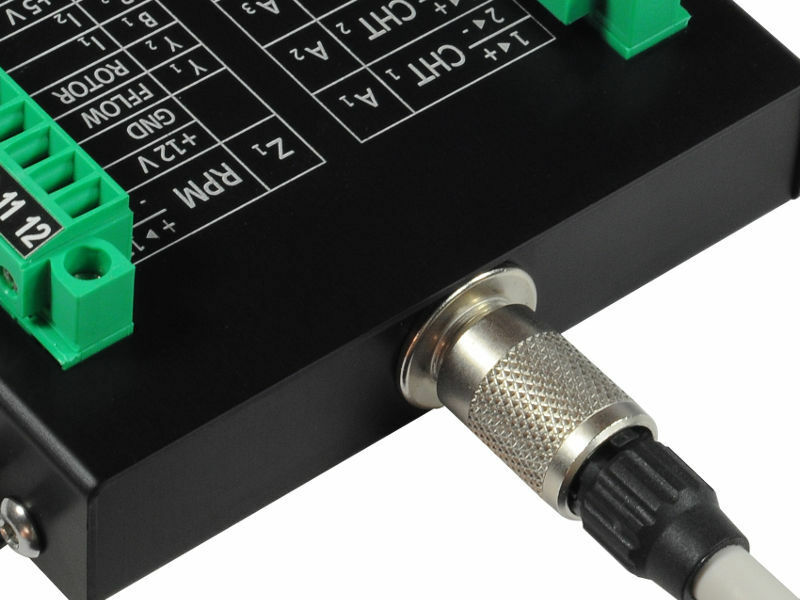 Analog channel with 0 to +30 V input, used to read higher voltage levels. 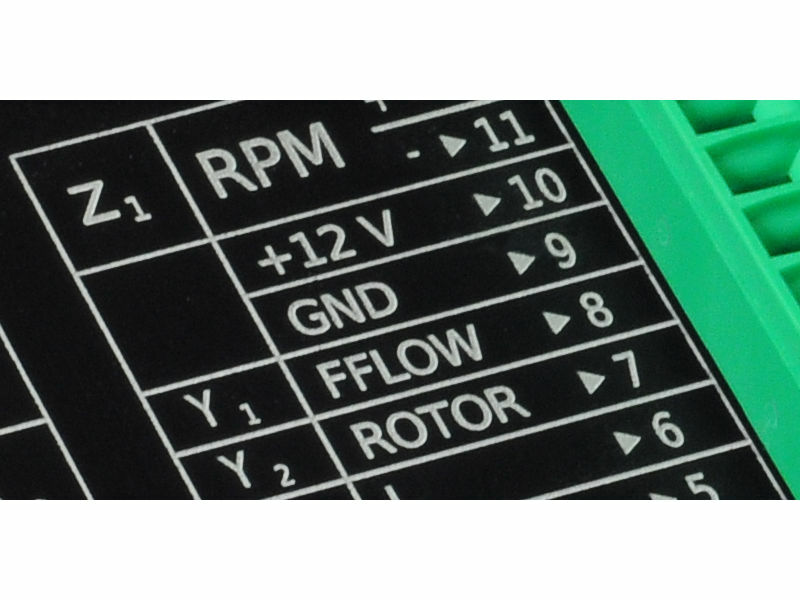 Digital channels used to measure time between pulses, such as engine or rotor RPM signals or fuel flow. 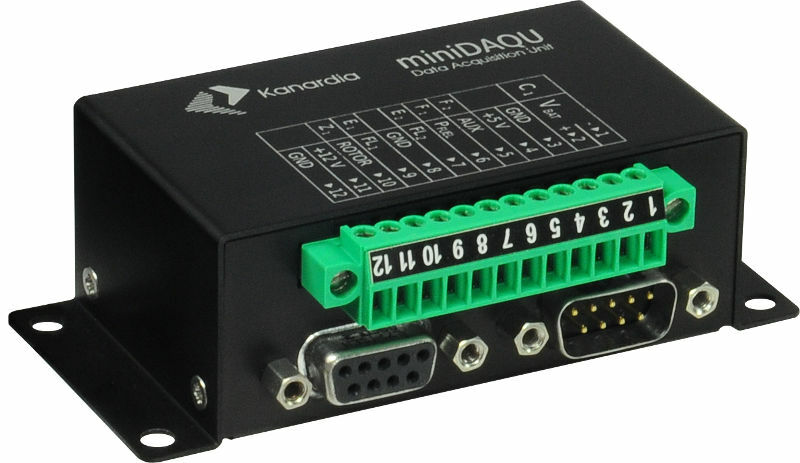 When only limited additional channels are needed besides the information already provided by Rotax 912 iS ECU, you may consider using mini Daqu, which was designed exactly for this purpose.